Thank you to everyone who has left notes/sent emails to me about my blog re-design and brand re-launch. Your comments and well wishes have meant a lot to me and I am extremely grateful and appreciative for your kind words! If I haven't responded to your email yet you'll be hearing from me very soon. 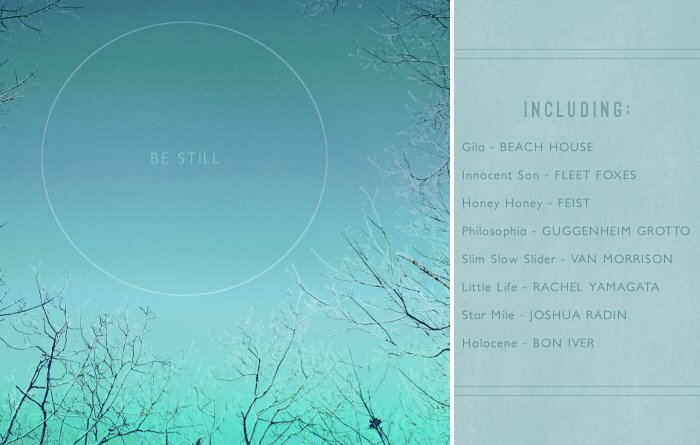 Be Still from rebeccatollefsen on 8tracks. Enjoy Be Still by clicking the player above. Hope your week is off to a great start! I LOVE the mix - thank you for sharing!! Thank you! I'm so glad you like it and thank you for stopping by.